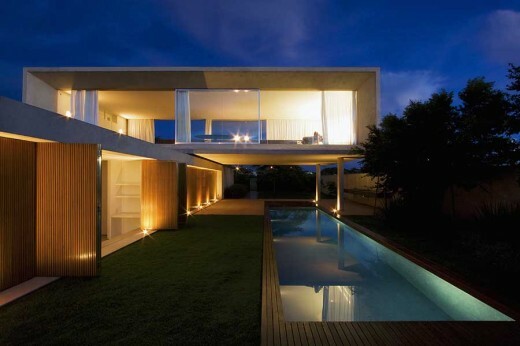 e-architect have architectural tour guides in most of the key cities in South America. Our Brazilian guided tours are all tailored to suit each booking we do not allow for bookings to be joined. Our guided tours in Brazilian are all exclusive to each client. Should you be planning an office trip, a conference, or university trip in Brazilian please contact us and we would be happy to take your booking. This city is the federal capital of Brazil and the capital of the Federal District. The city is located along the Brazilian Highlands in the country’s Central-West region. It was founded in 1960, to serve as the new national capital. Brasília had an estimated population of 2,790,000 in 2013, making it the 4th most populous city in Brazil. Among major Latin American cities, Brasília has the highest GDP per capita. Brasília was planned and developed by Lúcio Costa and Oscar Niemeyer in 1956 in order to move the capital from Rio de Janeiro to a more central location. The landscape architect was Roberto Burle Marx. The city’s design divides it into numbered blocks as well as sectors for specified activities, such as the Hotel Sector, the Banking Sector and the Embassy Sector. Brasília was chosen as a UNESCO World Heritage Site due to its modernist architecture. The city has a unique status in Brazil, as it is an administrative division rather than a legal municipality like other cities in Brazil. Nationally, the term is almost always used synonymously with the Federal District, which constitutes an indivisible Federative Unit, analogous to a state. Several “satellite cities” (suburbs) are also part of the Federal District. The centers of all three branches of the federal government of Brazil are in Brasília, including the Congress, President, and Supreme Court. The city also hosts 124 foreign embassies. Brasília International Airport is the third busiest airport in Brazil. The city was the main host cities of the 2014 FIFA World Cup and hosted the 2013 FIFA Confederations Cup. It will be the host city of 2019 Summer Universiade. Famous buildings / built projects in Brasilia include the National Congress of the Federative Republic of Brazil, Juscelino Kubitschek bridge, Monumental Axis, Palácio da Alvorada and Cathedral of Brasília. 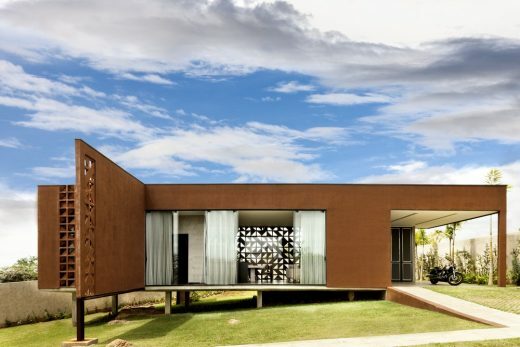 Brasilia Architectural Tours can focus on traditional buildings, contemporary buildings or both. 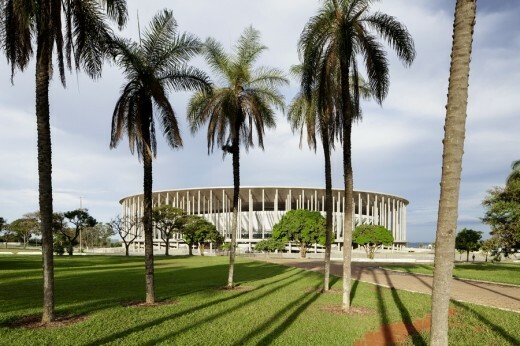 The Brasilia Architecture Tour can be an introduction to the city’s main buildings or can be tailored to your group’s interests. Walking Tours of Brasilia can involve advice (for an agreed fee) ahead of trips about types and areas of Brazilian buildings. We are more than happy to accommodate your needs and interests on our Brazilian Architecture Tours. We can provide information on programme, geographical areas and building types up to a year ahead of your Brazilian architectural tour. For example a group of architects interested in innovative Brasilia office buildings could be provided with tailored information allowing a tour programme to be agreed prior to their visit to Brazil. 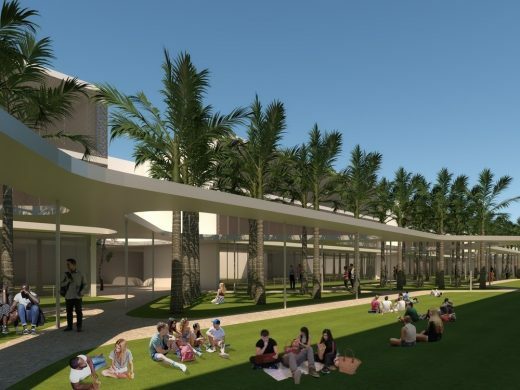 Visitors can be met from the Brasília–Presidente Juscelino Kubitschek International Airport or their accommodation. Alternatively guests can be met at the starting point (most typical scenario) of their architecture walking tour in Brasil. Payments must be made in full prior to the Brazil architectural tour. e-architect also organise architecture walking tours in other cities such as Mexico City, New York and London.